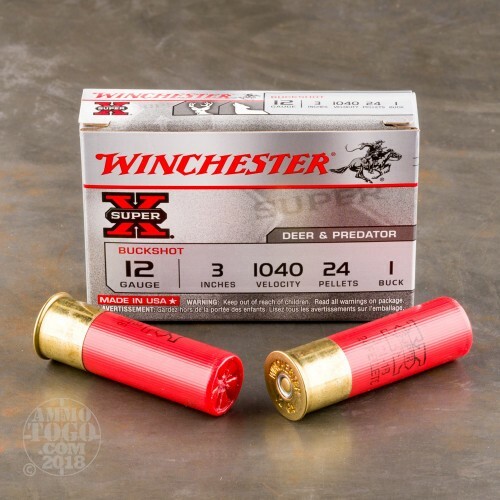 These three inch Super-X shells from Winchester are the proper medicine for campsite watch where big cats may be a concern as well as for bedside duty for two-legged predators. 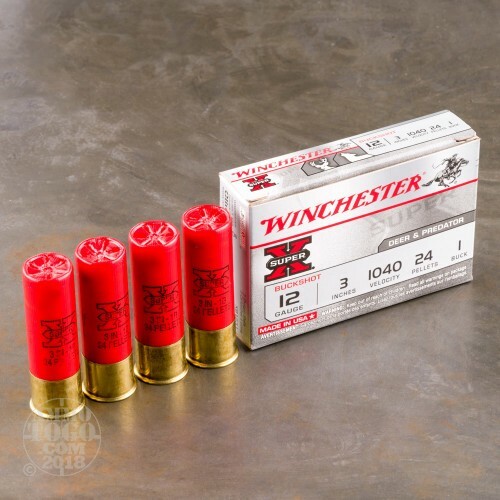 With critical situations in mind, these 12 gauge loads consist of premium, time-tested components including Winchester's own clean igniting 209 primers, consistently measured powder charges, moisture-resistant hulls, and one-piece hinged wads. The one-piece hinged wad design helps to reduce felt recoil from these stout high brass shells while tightening shot patterns for extended range and optimal terminal performance. Each shell contains 24 pellets of #1 size buckshot which is surrounded by a powdered, plasticized filler; this powder media acts as a buffer for the pellets which protects them from flat-spotting against barrel walls with no ill effect on your top shelf shotgun. Shot pellets which maintain their round shape are less likely to fly off the pattern and more apt to penetrate deeply into vital zones for positive drops on deer, mountain lions, coyotes, and dangerous intruders. 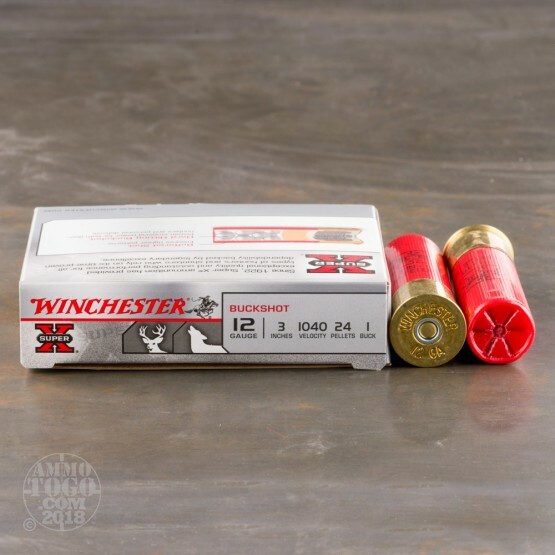 Winchester ammunition has been a part of the American shooting tradition since 1866 and has introduced firearm designs and caliber standards which are still in widespread use today. 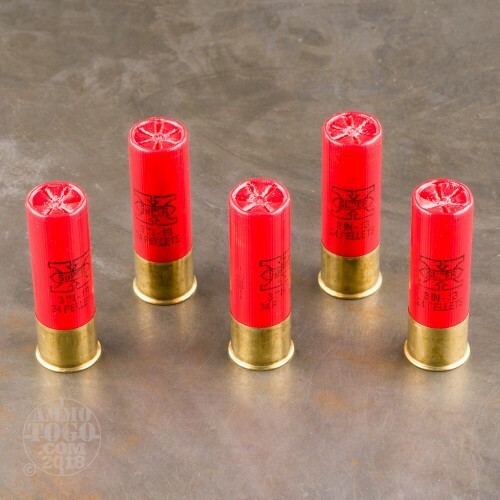 Their constant drive to innovate and serve has resulted high grade ammunition for law enforcement, hunting, match use, and recreational plinking.